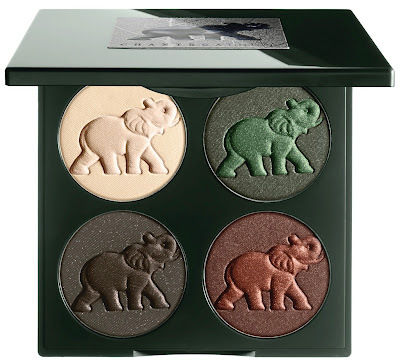 Chantecaille, how much do I love you? Like, really. My mind was literally read not once but twice by this wonderful company. 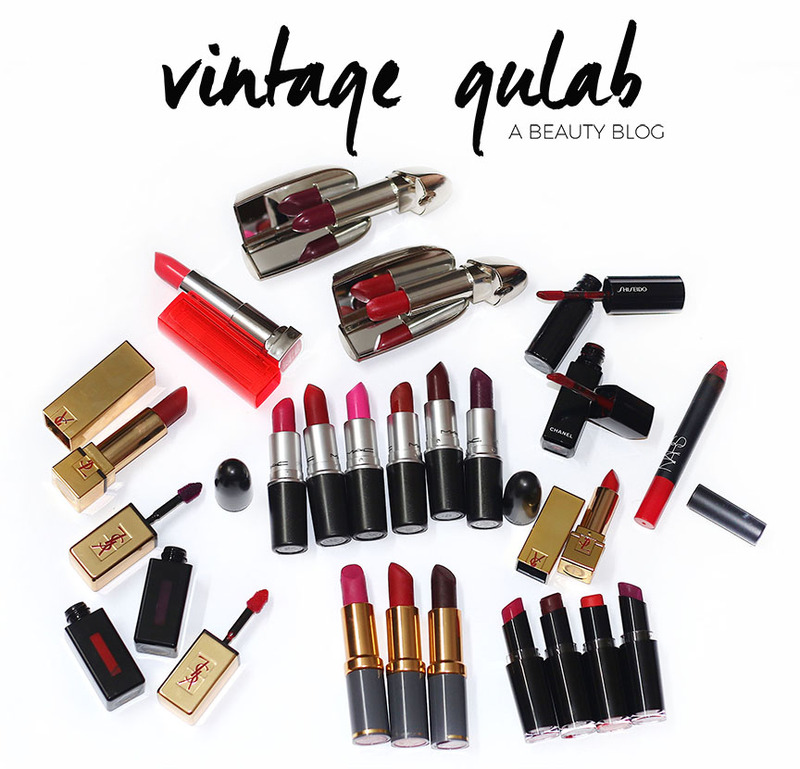 I will start off by saying something I've mentioned before but basically, I collect makeup with a South Asian theme. Things like tigers, peacocks and elephants are my weaknesses, basically. And Elephants are animals I am obsessed with regardless and would totally keep as a pet if the space (and law) allowed, ahem. Back to Chantecaille again! I just got news about their Fall 2012 collection and this collection's standout? 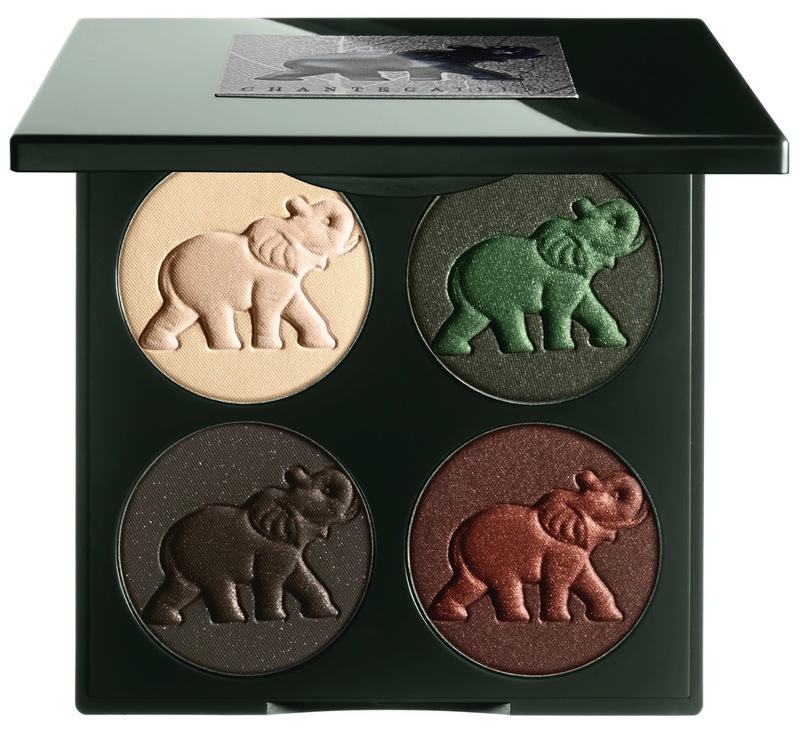 A palette with ELEPHANTS! Elephants will always have a special place in Pakistani/Indian culture and being one of my favorite animals, I am beyond thrilled. This quad will retail for £74.00/$116 and is set to release in Fall, September 2012.